March is Members’ month and the Putnam Arts Council hopes to see new and familiar faces as we celebrate art and artists! All are welcome to attend our annual Members’ meeting and Members’ Art exhibit on Saturday, March 16th beginning at 2pm at Belle Levine Art Center, 521 Kennicut Hill Road, Mahopac. At our 56th Annual Organizational Meeting, information will be presented regarding 2018 highlights and 2019 plans along with the election of new and returning Board members; ballots will be available on our website and at the meeting, which will be followed by the exhibit’s opening reception from 3:30-5:30pm. To participate in this exhibit, which is a benefit of membership, artists (18 years and over) are invited to enter one piece of original fine art. Please see the exhibit prospectus, available at our website, putnamartscouncil.com or call 845-803-8622 for further details on fees and restrictions. Work will be received on Friday, March 8 from 3-6pm or Saturday, March 9 from 2-5pm. All work must be received by 5pm on Saturday, March 9. Artists can renew or join the Arts Council when delivering work or 24/7 on our website. The exhibit’s opening reception will begin at 3:30 and will remain on view through April 7 with gallery hours Tuesday – Friday noon-3:30 and on the Sunday, April 7 (the last day of the show) from 2-4 or by appointment. Our 2018 celebration was well attended by artists, families and friends viewing almost 100 works in many media, with most priced for sale. PAC’s programs and services are made possible, in part, with public funds from the New York State Council on the Arts with the support of Governor Andrew Cuomo and NY State Legislature. Public support is also provided by Putnam County Government. 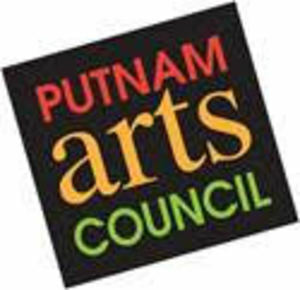 Additional revenue is generated by the Putnam Arts Council through membership, educational and creative programs, fund raising efforts and through donations from the public and private sectors.